The past decade has seen explosive interest in graphene, a single-molecule-thick sheet of carbon atoms with amazing properties. It has been put forward as a potentially revolutionary material for integrated circuits, transistors, batteries, solar cells, and more. Despite extensive research and product development, graphene has made precious few appearances outside the laboratory. 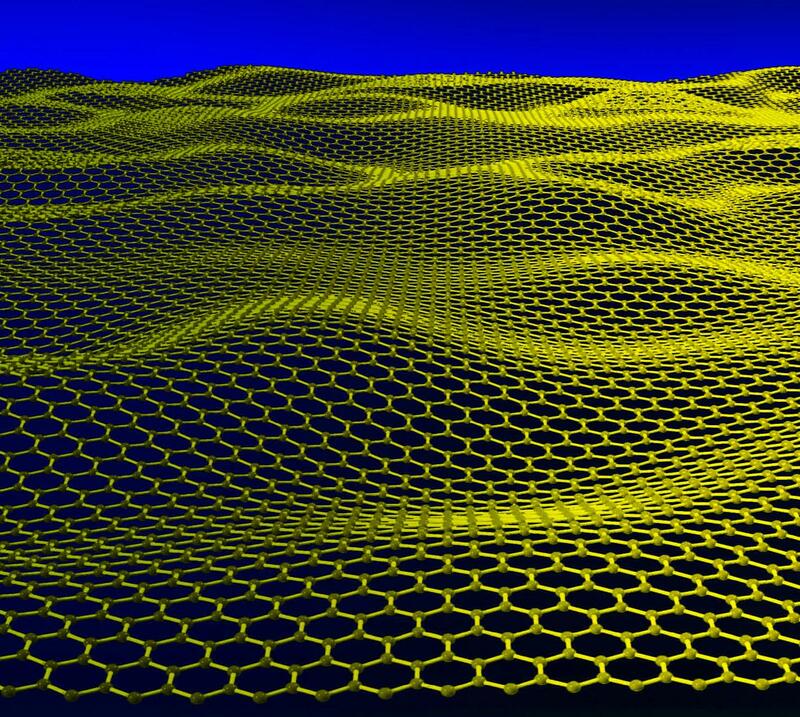 One reason for this is graphene’s extraordinary conductivity — it’s simply too good. Researchers with the US Department of Energy’s Lawrence Berkeley National Laboratory think they might have discovered the reason graphene has resisted efforts to control its conductivity. One of the first proposed uses for graphene was in the construction of super-fast transistors. Graphene can conduct electrons at near the speed of light — about 100 times faster than through silicon. In addition, graphene is flexible and strong, making it ideal for a variety of manufacturing processes. As we struggle to squeeze more transistors into the same area, the increased efficiency graphene could provide would be invaluable. Before that can happen, scientists must find a way to reduce graphene’s electron conduction, an absolute requirement for devices with on and off states, like transistors. Why is graphene so tough to control? 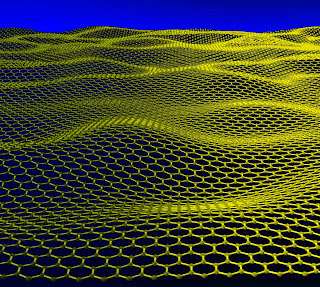 A single layer of graphene is so electrically efficient it is considered to have no bandgap. A bandgap is an energy range in which no electron states can exist, thus no conductivity. Semiconductors have small, but non-zero bandgaps allowing them to switch between states — zero to one — very quickly. Attempting to artificially create bandgaps in bilayer graphene to modulate current has proven ineffective, but the Berkeley Laboratory team seems to have found out why. When overlaying single sheets of graphene to create the bilayers needed for electronics, the researches found that tiny misalignments crop up that result in a miniscule twist in the final product. Even though the offset can be as small as 0.1 degrees, it has huge implications in the electrical properties. Spectrographic studies showed the graphene twists were generating massless Dirac fermions — electrons that behave like photons. That means they are not subject to the engineered bandgaps researchers have been trying to perfect in bilayer graphene. This is why past experiments have failed to reliably arrest the electron flow through graphene components. 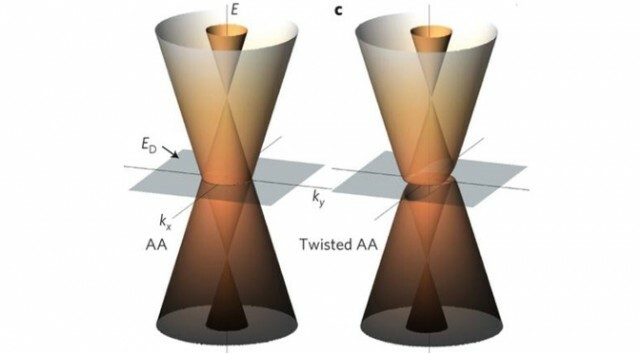 The researchers believe that having identified the subtle twisting in bilayer graphene, it will be possible to develop a better manufacturing process that prevents twisting. It won’t be easy, though. As few as ten offset atoms per square micrometer could cause enough of a twist to prevent bandgaps from functioning. Still, the mystery is solved, and we’re closer than ever to faster electronics with graphene.